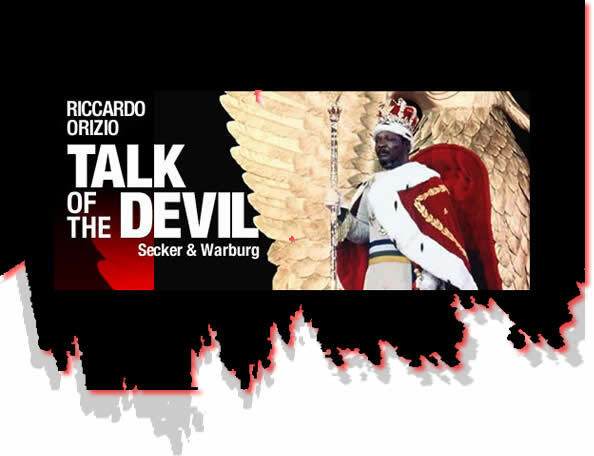 Italian journalist Riccardo Orizio has spent several years chatting with some of the world’s most infamous tyrants, deposed and living in ignominious exile. The handwritten missive begins with a Quranic verse, reminding all who read it that “they had made a covenant with God that they would not turn back in flight.” The man who supposedly wrote the letter wants nothing more than for his people to uphold that covenant, even though he himself has not. The letter, purporting to be from Saddam Hussein, has launched a new round of speculation over whether the deposed Iraqi leader survived the American-led invasion on his country. According to the note, which arrived via fax at the London-based Al-Quds Al-Arabi newspaper, Saddam abandoned his palaces “a long time ago to live in a small house.” If the letter—dated April 28, Saddam’s 66th birthday—is the real deal, the deposed tyrant has, at least temporarily, joined an illustrious roster of international pariahs living in exile. Take, for example, Idi Amin Dada. The former Ugandan “Big Daddy,” whose rule left up to 300,000 dead, lives a bourgeois life in Saudi Arabia, complete with a new satellite dish for his television. Haiti’s Jean-Claude “Baby Doc” Duvalier lives comfortably in Paris, where he studies solar energy and voodoo, despite having squandered millions of his country’s dollars. 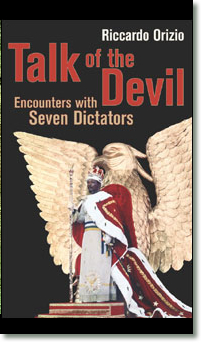 These revelations, and many others, are the heart of Italian journalist Riccardo Orizio’s new book “Talk of the Devil: Encounters with Seven Dictators” (199 pages. Walker. $22). Orizio recently spoke with NEWSWEEK’s Brian Braiker about interviewing exiled tyrants, their sense of betrayal, lack of remorse and what they have in common with Saddam Hussein. NEWSWEEK: How did this idea come to you? Riccardo Orizio: I am more interested in losers than winners and I find marginal people in marginal places often more interesting than mainstream or central people and places. So rather than interviewing the Italian prime minister or the American president, I have this fascination with people who technically are in the margins of society—people who had been very powerful and are not anymore. It’s fascinating, the psychological process that must go through the mind of somebody who had been so powerful and now is not. And it makes for great “where-are-they-now” reading. It’s an old journalistic trick [to ask] “what happened to this guy who used to be so famous in sports or politics?” I always find myself reading “where are they now” pieces in magazines. I want to apply it to people who had been extremely famous. These exiled tyrants you interviewed don’t view themselves as marginal at all, and certainly not even losers. They seem very defiant and proud. Yeah, you are right. They’re extremely defiant. But if you think how symbolic the name of Idi Amin was 20 years ago with all its connections to cannibalism, to terror, to horrors and now if you ask any well-informed school children, “Who is Idi Amin?” I’m sure they’d say “Idi who?” Even monsters, not only great people disappear from our radars. It’s a political lesson, too. Twenty years ago, 15 years ago we were obsessed with Col. Muammar Kaddafi. Now who is interested in what Kaddafi is doing in Libya? We thought that Kaddafi was evil. Even for horrendous monsters, it’s easy to disappear. That sort of short attention span sounds like it could be potentially dangerous. Well, maybe in five years’ time, [people will ask] “Saddam Hussein? Who?” He will [be] peacefully living somewhere and we will find difficult to imagine that an entire war was organized to depose him. Time heals, but what we have to acknowledge is that when these monsters either pass away or go into silent exile or disappear from our front pages, it’s not necessarily true their countries are better off. Saddam had the opportunity to go into exile before the war in order to avoid an invasion. Presuming he’s still alive, is it within the realm of possibility that Saddam will one day be living a quiet life in exile? There are two different types of dictators: those who prefer a quiet, peaceful exile and those who would prefer to die fighting, symbolically. Saddam Hussein is another [Manuel] Noriega; he’s another [Slobodon] Milosevic. Noriega and Milosevic are in prison, but simply because we the good guys managed to capture them. That was technically not possible with Saddam Hussein. Not yet. Noriega was willing to die. Slobodan Milosevic was very unwilling to give in—we have seen at the trial at The Hague how unwilling he is to give in. Many of them have this idealistic idea that they are ready to fight until the last moment. And actually some of them believed that the best way to go is not the Idi Amin way, which is to live a peaceful and rather modest bourgeois existence in Saudi Arabia, but to expose the faults of their enemies, the faults of the West, for instance in a big public trial. There is that common thread in your book. Many of these tyrants in exile seem downright delusional, Idi Amin included. What were some of the recurring themes you came across? The one thing that they have in common is that many of them believe that they have been tricked. Or to use [Polish] Gen. [Wojciech] Jaruzelski’s word, they’ve been betrayed. Idi Amin was betrayed by the British. [The Central African Republic’s Jean-Bedel] Bokassa was betrayed by the French. Noriega was betrayed by the Americans—I mean Noriega was an important CIA informant for 20 years. Duvalier felt that he had been betrayed by the mulatto elite of Haiti. I had an incredible conversation with Mengistu [Haile-Mariam of Ethiopia]. Mengistu says “I’ve been betrayed by the Soviets. All my faith has been in communism, socialism. And then this guy called Gorbachev comes in and says ‘it’s all gone.’ Perestroika, reforms, change. Behind my back he changed everything.” He says, “Gorbachev betrayed all of us.” Mengistu is an example of someone who believes that there were higher powers who let him down. And yet, you’re painting very human portraits of these people who are considered monsters by many. Well, yeah. They are humans too. What are the tradeoffs between retribution and practicality? Should Idi Amin or even Saddam be allowed to live comfortably in exile? You are absolutely right. I think it is a little bit immoral that the Saudi government is giving hospitality to Idi Amin. It’s not the Saudi people, it’s the Saudi family that gave him asylum on a very personal basis. Not only that, I find it immoral that they are giving hospitality and keeping it very, very quiet. They know it’s not something to be proud of, but they do it. I find all of this a bit hypocritical and not really moral. Maybe this is a Western perspective. From an entirely different point of view, he was a head of state of the Islamic faith, therefore he was entitled to have protection because his life was in danger. But it’s questionable. Do you hope to interview an exiled Saddam one day? You know what? No. The lesson I learned was that [deposed tyrants] don’t have much of interest to tell you. What they have to tell you, maybe with a couple exceptions, is not so important. “Baby Doc” Duvalier doesn’t have anything to say. But you said yourself that you find the losers fascinating. Yeah, because I discovered that they are like your next-door neighbor. This is the fascinating part. They’re not necessarily fascinating individuals. You can be exceptional in a negative way. They are not. In a way, they are rather ordinary people. They’re sad people, at least in your book. Because they were defeated and because their names are synonymous with something very bad and very negative. Imelda Marcos is not sad—she’s happy. Gen. [Augusto] Pinochet is a happy man—old, wealthy, respected, rich. I was looking for the sad ones, those who are not wealthy, those who are not respected. I didn’t want Imelda Marcos. I’d been a journalist for 18, 19 years. Last year I left my job as London correspondent for an Italian newspaper and I moved to Kenya and I’m starting a safari lodge. Exactly. [Laughs] I’m a dictator in exile.